When my clients ask me to give suggestions for their Los Angeles green remodeling job, I always tell them not to only think big. Yes, it’s worthwhile to update your kitchen and bathroom to be more green and energy-efficient, but you can also make your home more green with smaller and less expensive changes, like updating your furniture. Just as changing your appliances can be beneficial, so can purchasing new furniture. Some furniture contains dangerous chemicals that can be bad for your health and replacing it with new pieces can make a better living environment for your and your family. 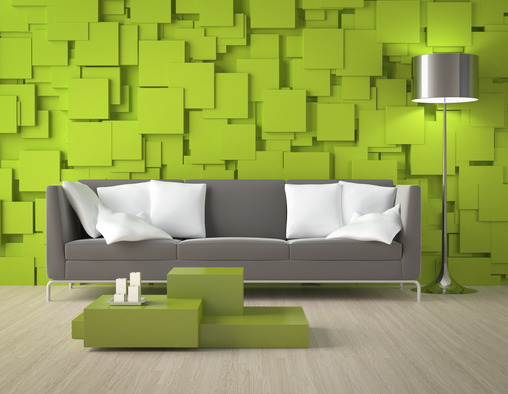 A green furniture design can make your home more comfortable, more healthy and more eco-friendly. This article will focus on suggestions for ideas to consider when updating your green furniture design. 1. Flame Retardants – Can your couch be poisonous? Yes, according to Forbes magazine, which claims that your sofa can be made from harmful chemicals. Typical household items like “sofas, upholstery, rugs, and even electronics” can contain flame retardants that may pose health issues for your household members, especially children, as dust with these chemicals is released in your home. Some chemicals were found to cause cancer, while others were endocrine disruptors, those that can cause issues with children’s development. “Up to 11% of the sofa’s foam can be made up of the compounds, which can equate to about a pound of dangerous or untested chemicals in your couch,” the article stated. So what can you do to protect yourself and your family? As part of your Los Angeles green remodeling job, look for couches that do not have flame retardants in them. Call or e-mail the manufacturer and ask if they use flame retardants in their furniture. Do your research, ask for the names of chemicals in their couches and find out what health concerns those chemicals can present. 2. VOCs – You probably spend an average of six to ten hours in your bed, so you want to make sure that your mattress isn’t causing health concerns. Did you know that mattresses can be made from synthetics and coated with chemicals, such as volatile organic compounds (VOCs), which evaporate at room temperature. If your mattress has an unpleasant chemical smell, chances are it has VOCs. However, they are difficult to diagnose as not all VOCs have a smell, but they can all pose a risk to your health, such as breathing issues and skin rashes. So what tips can I recommend on upgrading to a new mattress? Buy organic! There are so many organic mattress options now that it’s easy to find one as part of your green furniture design. Whether you prefer a spring or foam mattress, the possibilities are many. Is purchasing organic not an option for you? Then I recommend airing out your mattress outside when you first purchase it so some of those harmful fumes can evoporate. 3. Formaldehyde – Chances are your cabinets, bookshelves, tables, and other such furniture is made from composite wood, which is plywood, fiberboard or particleboard. These options are always cheaper than pieces made from real wood, but they also pose a greater health risk because they contain formaldehyde, a chemical that holds composite wood together. This harmful chemical is known to cause cancer, but it is still found in most furniture pieces in a home. Gaiam Life states that it can cause allergies and other more dangerous side effects. If you’re looking for a green furniture design as part of your Los Angeles green remodeling job, choose furniture that is made from 100% wood. Not only will it likely be sturdier and last longer, you will know that you’re not harming yourself or your loved ones. 4. Recyclable – If you have decided to purchase new items for your Santa Monica remodeling project, look for pieces made from recycled wood and materials. We all know that rain forests are quickly disappearing because of all the trees being cut down for wood. You may need a new table, but you can purchase one that has been repurposed or simply made from recycled materials. In conclusion, a green furniture design keeps health and the environment in mind when planning a new look for a home. You want to find pieces that are not only comfortable and look just right, but that will not contain toxins or have harmed the environment in some way.